The global retail environment is more competitive than ever with customers now having more and more ways to shop around without ever having to leave their home. In fact, according to a research paper by Euromonitor International, mobile technology and internet accessibility are set to play a key role in shaping consumer preferences in 2018. The rise of mobile technology has greatly empowered shoppers and altered how businesses interact with their customers. 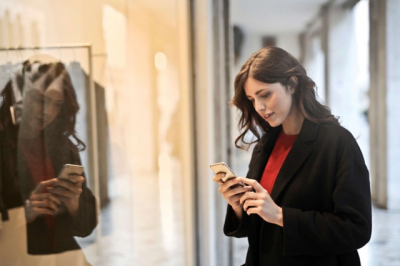 Smartphones alone have dramatically shifted power from retailers to buyers by providing easy and fast access to product information and e-commerce sites on the go. To captivate and capture customer’s hearts and minds, businesses have no option but to invest in delivering compelling consumer experiences and deep personalization. Gone are the days when the price and quality of a product or service were all it took. Today, you might have the best product in the market but if you fail to provide a great experience throughout their customer journey, you may end up losing more customers than you gain. Consumers now expect and reward a personalized shopping experience. As a result, businesses will need to adapt to stay competitive. Marketing and customer engagement can be greatly improved by providing a personal touch. Personalization onsite and across other brand touchpoints can help you enhance customer experience and achieve a competitive advantage resulting in increased traffic and conversions. According to Accenture, as many as 73% of consumers prefer to buy from businesses that personalize their shopping experience. In addition, a study by Teradata found that nearly 90% of marketers see individualization as the future of doing business with true one-to-one personalization replacing segmentation. Getting personal with your customers leads to timely and relevant interactions, greater customer affinity and more effective communication. Businesses that use personalization are likely to have higher response and engagement rates than businesses that do not. Giving customers what they want, when they want it—even before they know they want it—is the ultimate goal of personalization. And doing so in real time can offer competitive advantages that are hard to resist. So, we’ve identified the need to get personal but how can we achieve this? Before your business can become more personal, you need to understand your customers and their habits. At the most basic level, know who they are, the kind of products and service they like to purchase as well as their age, family status and even date of birth. If you can make your customers feel as though you care about them, know them, or are at least interested in them, your marketing and engagements will be much more successful. There are many different ways through which you can capture customer information, from the use of CRM to basic order forms, rewards programs and competitions. With a good data capture strategy, you can obtain high-quality data about your customers and prospects, allowing you to truly understand their patterns and interests and deliver delightful surprises. If you are looking to reap the full benefits of personalization, simply knowing about your customer’s habits no longer cuts it. You’ll need to go a step further and use those insights to create an experience that aligns with the values of your customers and ensure relevant and effective communication that prompts both customers and prospects to act. SMS is one of the most effective ways to communicate with your customers. Text messaging can be used to reach customers anytime, day or night with over 90% of messages likely to reach your customers within three minutes of being received. This is particularly useful given the increasing number of consumers nowadays working flexible hours and no longer shopping between 9am-to-5pm. When well implemented, business text messaging, automated SMS and ironically even bulk SMS can allow you to add a personal touch as you strive to provide a smooth customer experience throughout the entire buyer journey and across all channels. Personalization, however, goes beyond simply inserting a customized first name for each contact in your database when sending out bulk SMS messages. While this is certainly essential, you’ll need to do even more to achieve the level of personalization that today’s tech-savvy customers expect. Knowing which products resonate with your customers and tactically tailoring your offers can greatly increase sales. 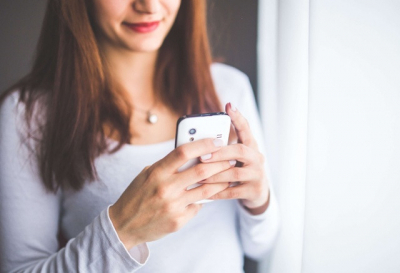 Through text messages, you can suggest products to buyers helping them make swift purchase decisions. Providing tips and advice to your customers is a great way to go beyond mere commercial exchange and foster customer loyalty. A piece of useful advice that’s specific to a particular customer can make them feel important and appreciated. The more targeted the tips, the better. For example, if you are a retail services provider such as a hairdresser, take note of common problems your customers face. Customers with long hair may have trouble with split ends, customers with curly hair may experience frizz. Take note of this and them and between customer appointments SMS them advice, links to articles and information about new products that could help them. This fosters a sense of loyalty and will encourage repeat business. Speaking of repeat business, according to the book Marketing Metrics, the probability of selling to an existing customer is 60 to 70% while the probability of selling to a new prospect is only 5% to 20%. This makes after-purchase support one of the best things you can do for your business. Don’t cut ties with your customers as soon as they make a purchase. Sending instant personalised order confirmations and regular delivery updates can ensure your customers have a great experience. Amazon has done an excellent job of this in the US. When you order a product from Amazing and sign up for the SMS service, you will receive SMS notifications when your package has been shipped, when it is expected to arrive, when it has been delivered and if there are any shipping issues. Mobile geofencing, or geotargeting, is a location-based service (LBS), which enables businesses to make decisions or take action based on the geographical location of an SMS subscriber. Creating a geofence for an SMS campaign facilitates a highly personal approach, which essentially allows a business to tailor SMS promotions to an SMS subscriber’s real-time location. To learn more about location-based marketing and to see how it works, check out our beginner’s guide. What better way to get customers thinking positively about your business than by sending a birthday message with a special offer? To benefit from this, ensure you’re offering something of value and relevance to that customer. This will not only help you drive sales but will help build your relationship with your customers. Requesting feedback after a purchase is made is a great way of showing appreciation to your customers and making them feel cared for. Soliciting customer feedback can also help you obtain valuable insights allowing you to personalize your products and services to better meet the needs of each customer. Using 2-way SMS, you can send short surveys and customers can then respond directly to the SMS. To achieve deeper engagement in today’s retail environment, it’s critical for businesses to provide a personalized approach, utilizing consumers insights and information gathered across all available resources. 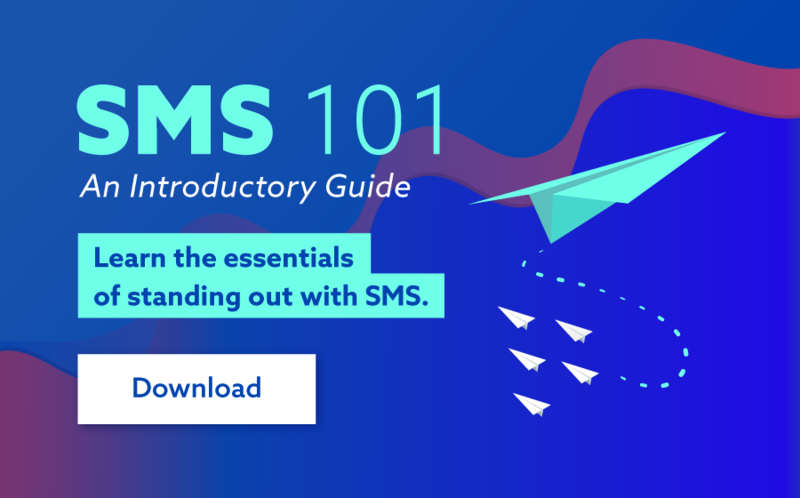 As the most direct and effective communications platform available to business, SMS is an ideal channel for achieving greater personalization. It is effective in isolation, or can play an integral role as part of any omnichannel approach. For more information on how you can make your retail business more personal using SMS, contact one of our friendly SMS specialists at sales@smsglobal.com.